This is one of the best hand creams I have used till date. It has a thick, gel-like texture with a mild fragrance. Even though the texture is thick, the cream spreads and absorbs easily. You can feel the difference immediately after application. The hands feel soft and smooth and there is no greasiness. If you have dry hands, definitely try this product! If you have normal to dry skin, this is a great body lotion. The texture is again, slightly thick and gel-like but it spreads and absorbs easily. What I like about the lotion is that it does not leave the skin greasy and keeps it hydrated for a very long time. I have very dry skin during winter and unless properly moisturized, it can get very uncomfortable. 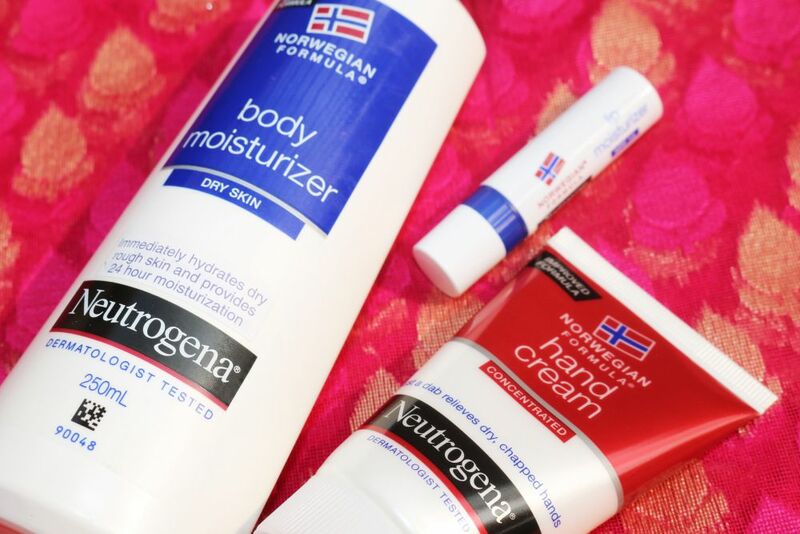 Usually, I go for thick lotions during winter so I was kinda skeptical before using the Neutrogena one because it absorbed so fast. The effect made me very happy indeed. Do try this out. This product I don’t really like much. I find the texture dry and also, it does not do much for the lips. 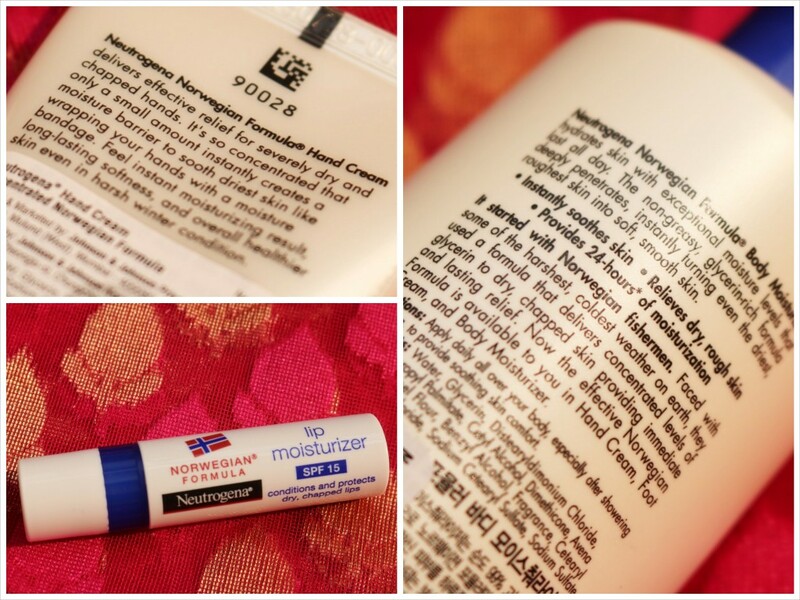 The balm does not stay for long and you will need to reapply frequently. If you have very dry, chapped lips, try other lip balms. This one is ok if you are looking for a regular balm and not something to heal. 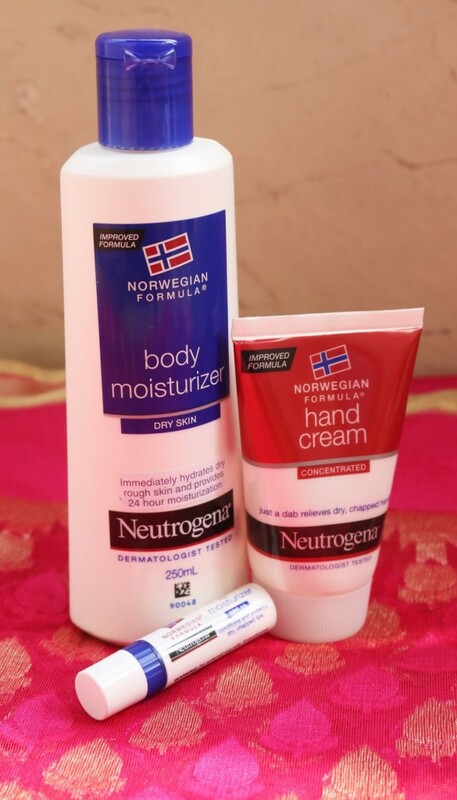 Have you tried any of the products from the Norwegian Formula range? Which is your favorite? Do share in the comments below.